Spike is a rather interesting character. Like Applejack he was a part of generation 1. As a kid, I can't say I really enjoyed his character, but I was also only five years old and I couldn't tell you much other than I liked pretty ponies. But even at that age I could tell he just wasn't a character I was supposed to love. 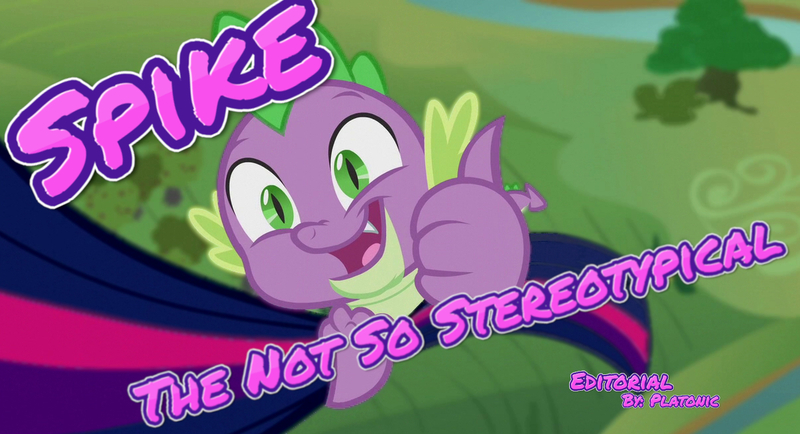 I didn't hate Spike, but, trust me, you could tell he was only there to help develop the story for the ponies. It wasn't about him for very long, and, as a little girl, I wouldn't have been bothered by that much. I think about the targeted demographic for MLP:FIM back in the year 2010 and I can't imagine they would have felt any different than I did back in 1994 (reruns of course). Shows targeted at girls tend to make boys dumb, useless, or love interests. 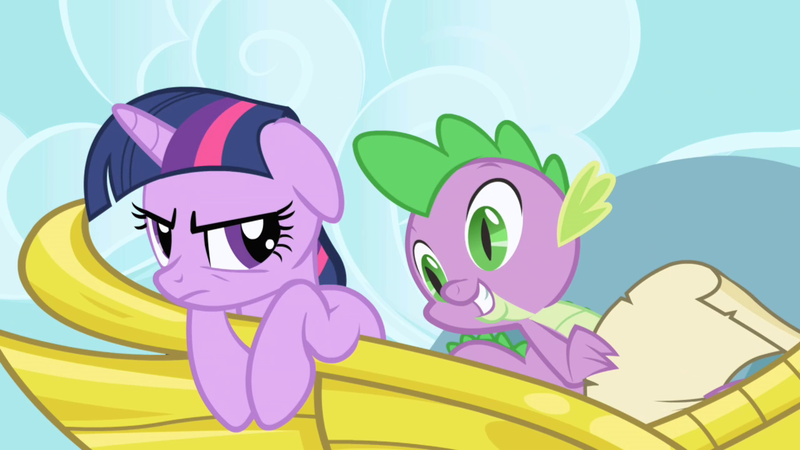 Spike: Don't worry Twilight, I'll always be here to recap after the commercial break. It may be painful to admit, but we all know Spike is not a character Hasbro expects to appeal to the target demographic. I wouldn't imagine the writing staff would have spent long amounts of time thinking about his overall character arc either. Anyone who had just gotten the job for a My Little Pony show probably wouldn't have expected to write in-depth male characters. Now I know Lauren Faust was the creator of the show, and she's had some pretty amazing series with some amazing male characters in them, but the show was predominantly run by Hasbro to sell toys. And unlikable characters, don't sell toys. 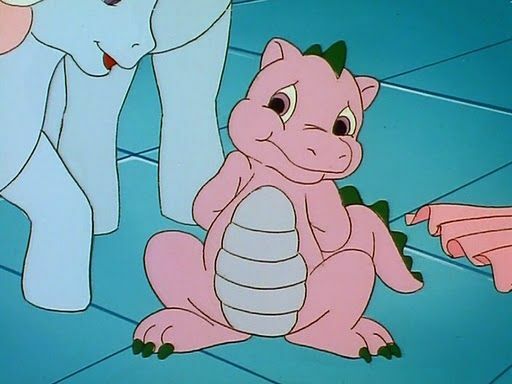 I never liked baby dolls, but I would have loved a baby dragon! I want my childhood back! But as the show continued to run, Spike really came into his own. In fact, later seasons do see toys modeled after him, and I must say they look pretty impressive. 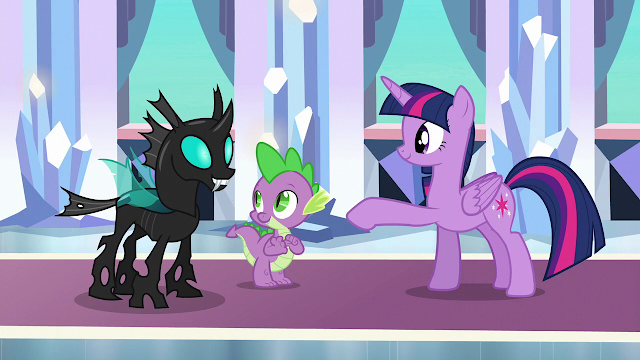 Our little dragon went from being Twilight assistant to being the savior of the Crystal Empire and the connection between ponies and changelings. Seriously, Spike was the only one who could bridge this gap and we have several changing centric episodes because of it. Spike establishes plot, he's not just a supporting character. 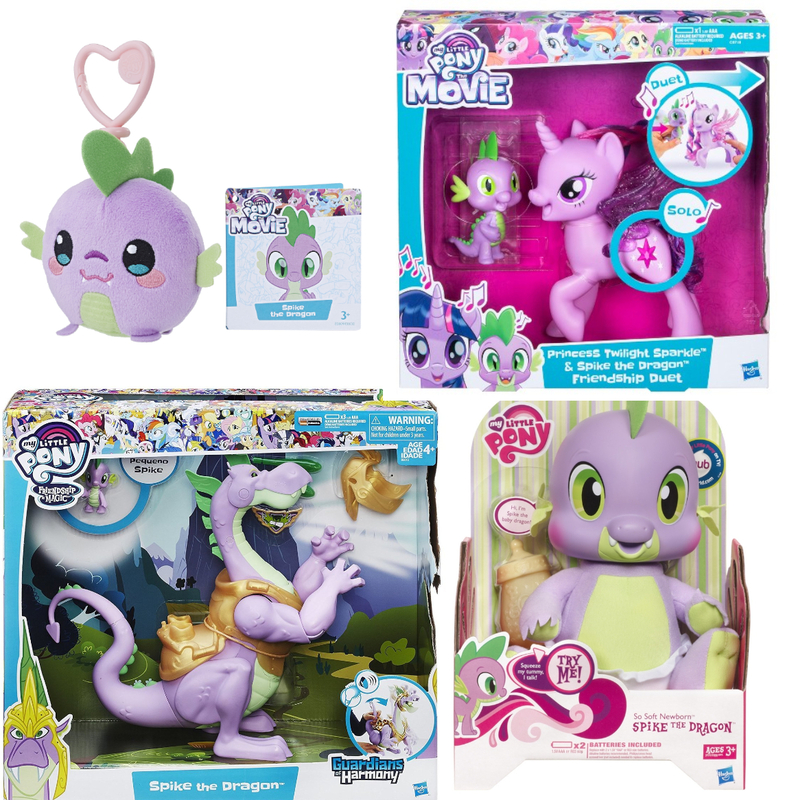 Spike has brought so much to his universe and did so all while still being in a show targeted at a young female audience. It's almost like Spike could act as a representation of the current change in children's media. Having a male character be so well-beloved in a “girls show” is actually still pretty novel considering the last few decades in girls' entertainment. Male characters in girls shows weren't all that well developed. They didn't usually get their own episodes and you didn't really sympathize with them beyond maybe an episode or two in which the lead female characters help them. 90's cartoons tryin' to be both girl and boy shows. The 90's began introducing more diverse casts of characters, but those shows usually had a lead male protagonist or just a few opportunities for girls to lead male characters. As our culture continues to shift, so will this trend in entertainment. Spike might seem awful in some eps, but it helps make the girls look super patient and kind. I kind of figured this is why all of the earlier Spike-centric episodes kind of sucked. He was only there to help make the girls look good. He wasn't an idiot per se, but he never really got an advantage on anything. Even in The Best Night Ever where Spike was right, he was quickly removed from the episode and sent off to look depressed at a donut shop instead of being a main part of the episode. This made the whole episode sweeter to me. Spike honestly understood what a gift is about. He is now a guiding light for Twilight as well as a voice of reasoning for the other Mane 6. Spike is more helpful, more relatable, more likable. 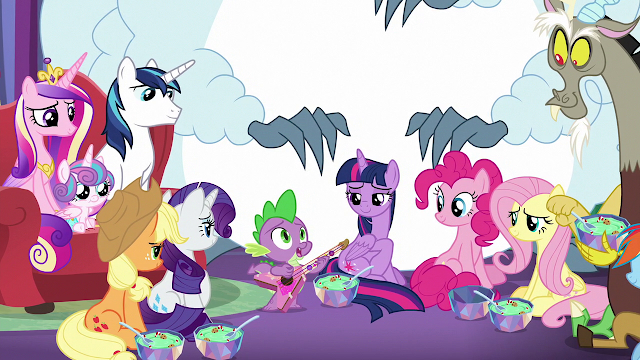 In fact, I'm looking forward to the Spike episodes of season 9. Perhaps this is all due to the involvement of the brony fanbase, but I must say Spikes presentation in the show is a beautiful progression of a male figure in a girls' entertainment. Spike has long since left behind the stereotypical bumbling male role. There is no way the show's staff would back down from bringing us more intricate Spike moments in the next season. He has helped fill a role media of the early millennia had been sorely lacking: characters that prove both boys and girls can work together without subverting each other or diminishing the role the other plays. Long story short, I wish growing up I had had more Spike male characters in my TV shows. He really is a great character who is way underappreciated. What are you looking forward to in Spike's character?